New selection of photographs taken by Arab and Jewish high school youth in Israel, as part of Givat Haviva’s project which uses photography as a means to explore questions of identity and co-existence. Join Ibrahim Miari for a performance of Sufi spinning dance, also known as Whirling Dervish, accompanied by a musical blend of Jewish and Muslim prayer sounds. Followed by a Sufi dance workshop for all ages. Join us at the Kane Street Synagogue for a special pre-festival event featuring ONE DAY AFTER PEACE, followed by a conversation. The Other Israel SpeakEasy Cafe is back Nov. 10 through Nov. 15, with non-stop intimate conversations and in-depth discussions with filmmakers, scholars and experts. “A real democracy is not universal suffrage. Unless there is an ongoing dialogue between the governors and the governed, unless the governed can make their opinions and desires understood, and unless one has accountability on the part of the governing body, there is no true democracy.” -Alice Shalvi, Israeli feminist and activist. Join a dynamic discussion moderated by J.J. Goldberg (Editor-at-large, The Forward), with Rabbi Jill Jacob (Rabbis for Human Rights, NA), Ali Haider (Sikkuy), and Yael Berda (author, human rights lawyer, doctoral candidate at Princeton University), to address the challenges facing Israeli society and Israeli democracy today. Engage in a lively conversation with the panelists about the limits of a Jewish democracy, issues of separation and segregation in Israel, the growing tensions between Jewish and Arab Israelis, and the ever-changing Israel-Diaspora relationship. Light dinner will be served. The New York Blood Center needs close to 2,000 people a day to roll up their sleeves and give the gift of life. Please donate blood at The JCC during the Other Israel Film Festival. The blood drive is a part of the Blood Relations project, which seeks to provide a catalyst for dialogue by demonstrating peoples’ shared humanity through the common bond of blood. It is based around a simple, yet confronting question: Could you hurt someone who had your blood running through their veins? Join us for a festive Opening Night Gala, featuring remarks by Emmy, Tony, and Golden Globe Awards winner Mandy Patinkin, and the NY Premiere of SHARQIYA, followed by an exclusive reception with filmmakers and special guests. New Generations and JCC 20’s & 30’s Shabbat Dinner Join the New Israel Fund’s New Generations, JCC 20’s & 30’s, and other young leadership groups for a shabbat dinner with a twist.  Enjoy an evening of flowing wine, delicious food, great company, and partake in a unique and intimate conversation with guest filmmakers on Israel’s minority populations. Co-presented by New Israel Fund and JCC 20’s & 30’s Advanced registration required – space is limited. In Between portrays the complexities and contradictions inherent in Palestinian-Israeli identity. Ibrahim Miari recalls his childhood in Acco, and of the struggle to shape and understand his multifaceted identity. The Festival concludes with the U.S. Premiere of WHEREVER YOU GO, shown with EYE DROPS, followed by conversation with filmmakers Rony Sasson Angel and Mohammad Bakri, and a dessert reception. Dor Guez is a multidisciplinary artist whose work integrates his research of archives and employs photographs and video installations to engage and challenge the boundaries of nationalism, religion and ethnicity. Guez’s Christian-Palestinian heritage plays an important role in his work. Guez will discuss his latest project “40 DAYS”, which will premier a week later in his solo show at the ArtPace, TX. 3pm AMEER GOT HIS GUN followed by a conversation with filmmaker Naomi Levari, media personality Lucy Aharish, and Reuven Gal, former Head of National-Civic Service Administration.